Hi y'all! I recently joined a group on Facebook called Challenge Your Nail Art. 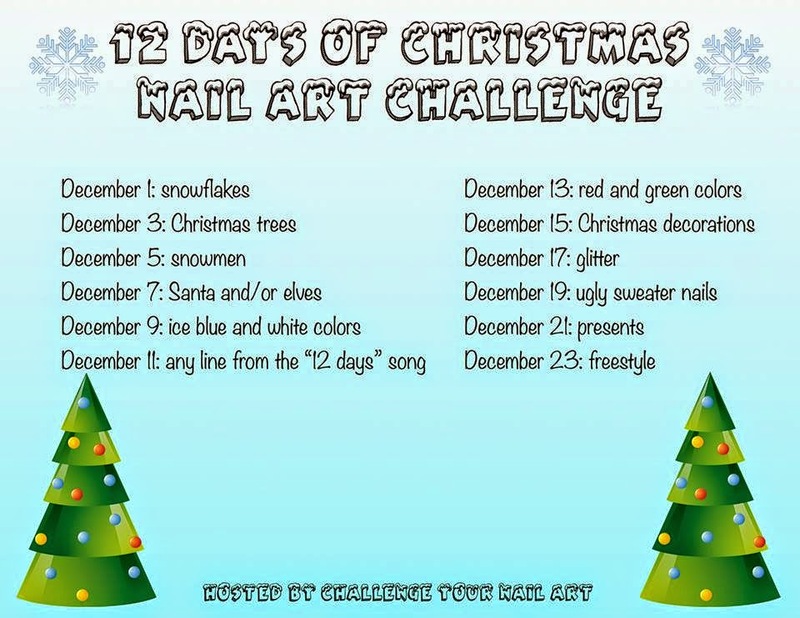 Every month they have different nail art challenges that we can participate in as much or as little as we like. 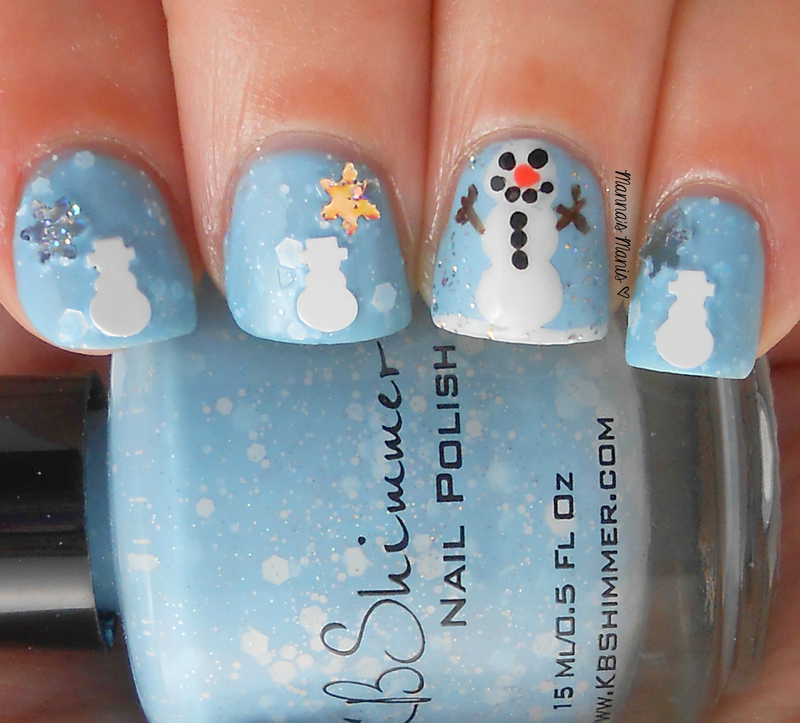 I'm a little late to the nail art party, but here is my nail art for December 5th: Snowmen! It is so hard to do freehand nail art when you don't have the proper tools! I really need to invest in some good brushes. Overall, I was pretty satisfied with this mani. The only thing I wish I could change is the holo snowflakes. I should have left those off. My C curve nail just doesn't allow me to stick stuff on my nails. Be sure to check out all of the other ladies manis below! Lovely background polish! I have those snowman glitter pieces too! Super cute! I love the snowman glitter! Love that sparkly snow and the snowman is so cute!